Order Faith in Nature Lavender & Geranium Hand Wash from the Online Health Food Store UK. 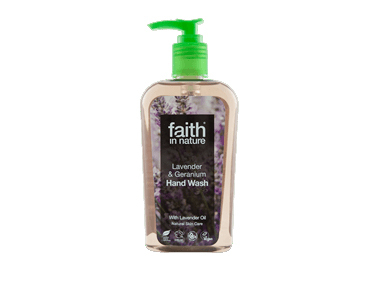 Buy Faith in Nature Lavender & Geranium Hand Wash 300ml and other quality Liquid Hand Wash safely online in the UK. Lavender and Geranium always bring a sense of calm to every day, and this magnificently fragrant hand wash will do just that. Where to buy Faith in Nature Lavender & Geranium Hand Wash safely online? Shop at the Online Health Food Store if you are wondering where you can buy Faith in Nature Lavender & Geranium Hand Wash 300ml safely online in the United Kingdom. Lavender & Geranium Hand Wash - Faith in Nature Lavender & Geranium Hand Wash 300ml in Liquid Hand Wash and Hand Soaps.